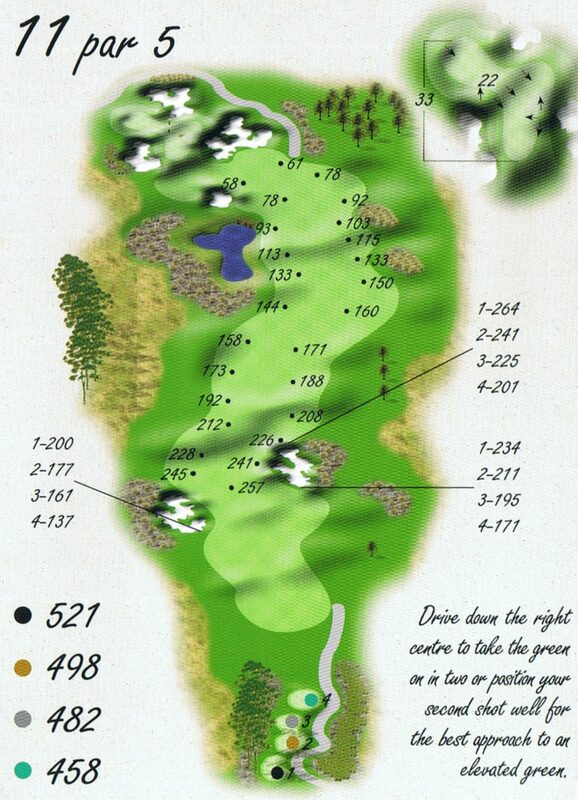 At 521 metres in length, and given the tightness around the green, this long par five will play as a three shotter for all but the strongest players. 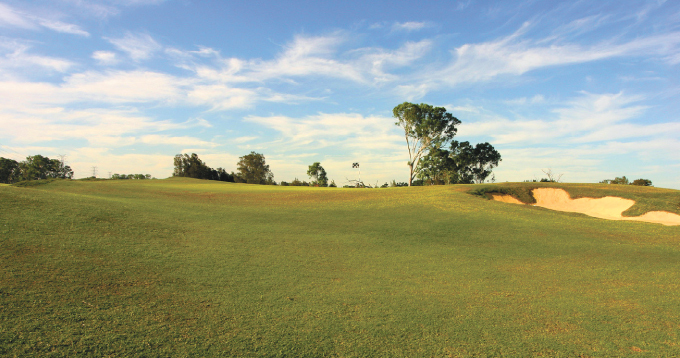 A good drive to the right side fairway will give you the choice of either laying up short of the wetland or playing long towards the end of the fairway at the second landing area. A pinpoint accurate approach is required to a raised green surrounded by deep bunkers.